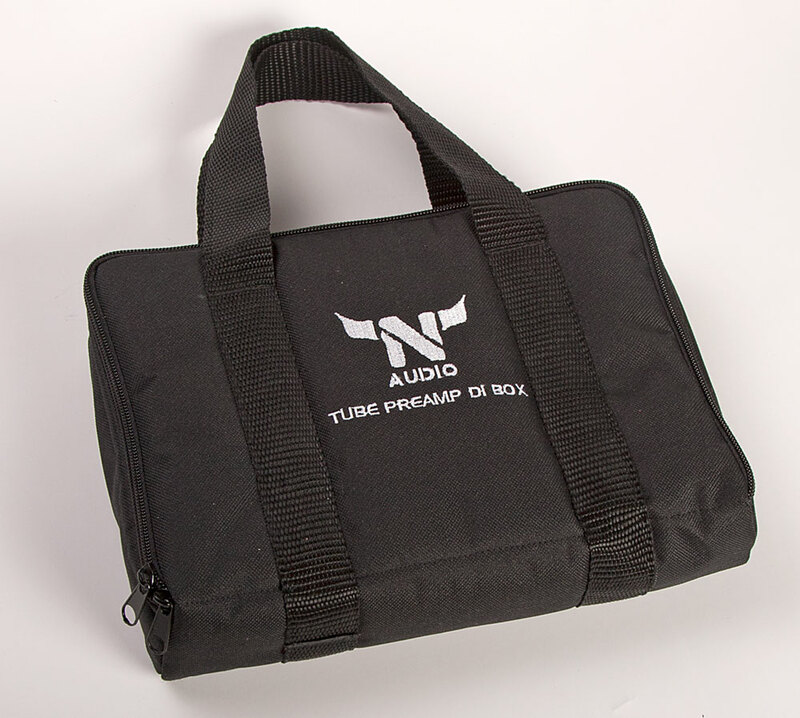 What exactly is N-audio tube Di box? 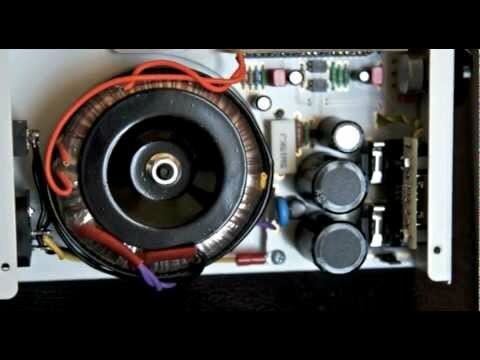 It is a compact device which incorporates the abilities of a DI box, but broadens them to a useful preamp. 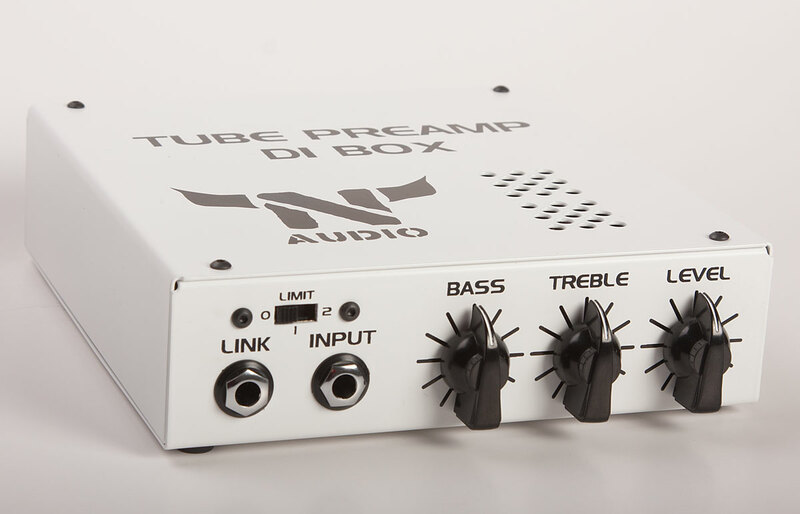 N-audio tube Di box is based on two tubes and an output transformer with two independent secondary coils. 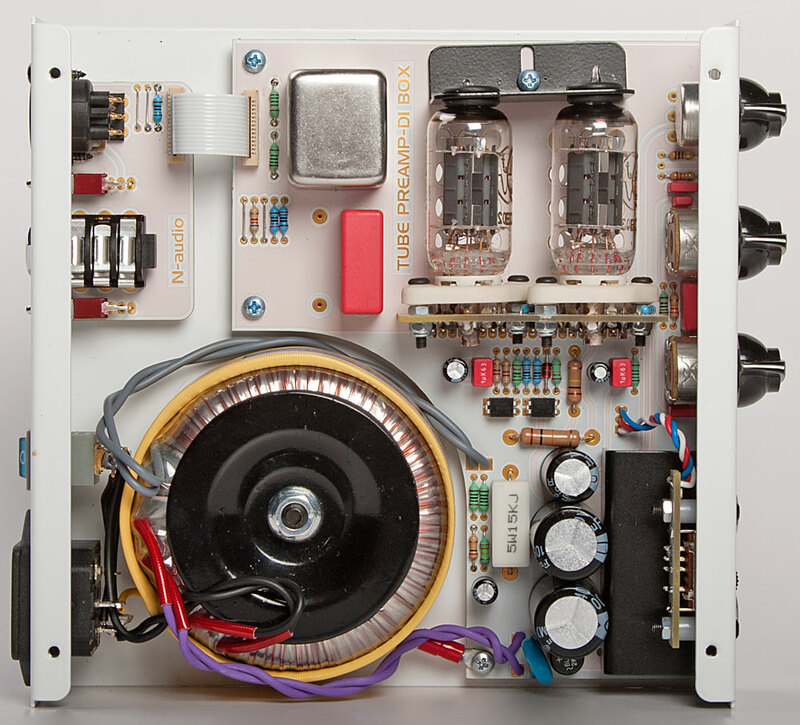 Thanks to this transformer, this tube preamp-Di box has two independent galvanically separated line balanced outputs. 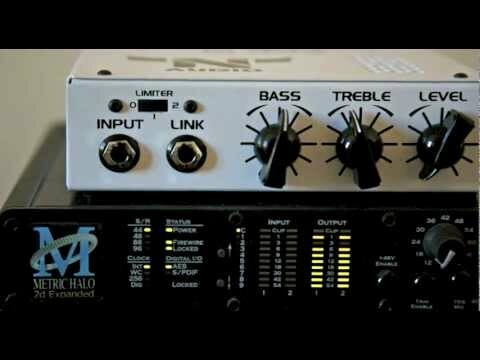 This tube di box is designed to be used both for studio recordings and on stage. 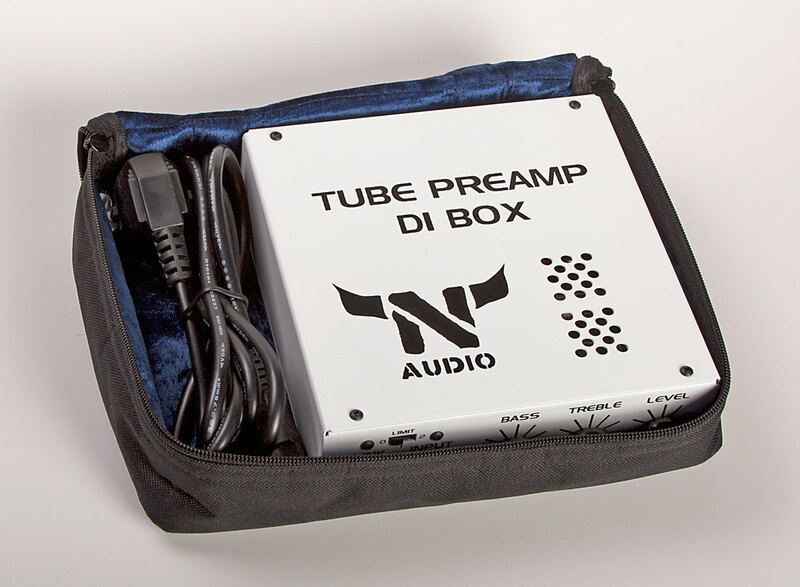 Thanks to its simplicity, great flexibility and brilliant tone, N-audio tube preamp-Di box is a great solution for every musician, who is looking for tube colouration and enrichment of their tone. 1. For recording sessions in small project studios (or home recordings) where a miked 'proper' bass amp is impractical or physically impossible. The tube DI box successfully brings into your recording the sound of top-quality amps and cabinets. - large halls and arenas where you rely on the PA anyway (but the chain amp-mic-console is problematic, especially with inexperienced sound engineers). You porvide them with guaranteed standard-level, quality signal with your desired sound. 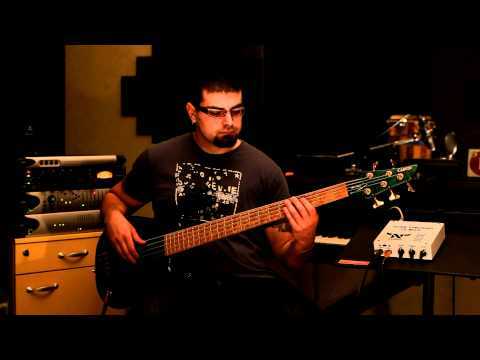 - very small clubs, where bringing your wardrobe-size Ampeg can make a lot of people uncomfortable (including yourself). Direct into the PA doesn't have to be a compormise with sound, and the tube DI box ensures a killer sound, whatever your style. 3. 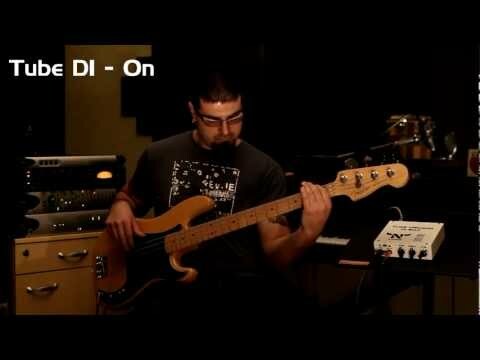 Playing with a bass amp, live or in a studio - used as a preamp, the tube DI box adds superb tone quality to any amplifier, turns even a humble cheap amp into a monster, while porviding wider tonal variety, dynamics control, and consistency in different rooms and with different amps. 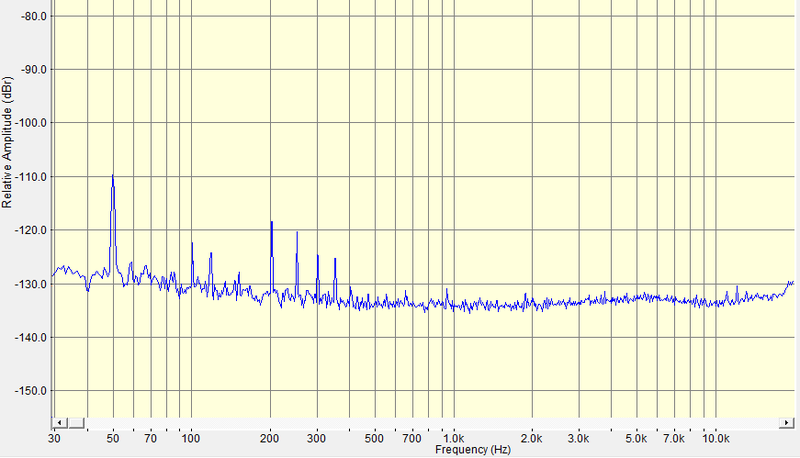 Usually we ship our Tube preamp/Di box within 1-2 days.